Below you fill find all funeral homes and cemeteries in or near Garrison. Suburbs of Garrison: Emmet, White Shield. Garrison is also known as: McLean County / Garrison city. Zip codes in the city: 58540. McLean County funeral flowers can be purchased from one of the local funeral shops we partner with. Some of the notable people born here have been: (jeff delzer). Garrison is a city in McLean County, North Dakota, United States. The population was 1,453 at the 2010 census. Garrison was founded in 1905 by brothers Theodore and Cecil Taylor. Theodore was a rancher in nearby Montrail County, and later was elected Sheriff of Burleigh County. The brother's direct ancestor was Joseph Henry Taylor, trapper and author of four books and numerous newspaper articles during his 40 years of pioneering in North Dakota. His books included Frontier and Indian Life and its companion, Kaleidescope Lives. He was the editor of the Washburn paper, the McLean County Mail. It was reported by Kalamazoo Gazette on November 28th, 2018 that Margaret Mary Brigman (Kerzman) passed on in Kalamazoo, Michigan. Ms. Brigman was 99 years old and was born in Garrison, ND. Send flowers to share your condolences and honor Margaret Mary's life. It was disclosed by Grand Island Independent on January 14th, 2018 that Finley Wade "Chief" Plenty Chief passed on in Grand Island, Nebraska. Plenty Chief was 58 years old and was born in Garrison, ND. Send flowers to share your condolences and honor Finley Wade "Chief"'s life. It was noted by The Daily News on November 30th, 2017 that Leslie A Snow passed on in Longview, Washington. Snow was 85 years old and was born in Garrison, ND. Send flowers to express your sorrow and honor Leslie A's life. It was reported by The Bismarck Tribune on June 2nd, 2017 that Darrell Fliginger passed away in Garrison, North Dakota. Fliginger was 77 years old. Send flowers to share your condolences and honor Darrell's life. It was revealed by The Bismarck Tribune on March 22nd, 2017 that Leatrice Stockdill died in Garrison, North Dakota. Stockdill was 90 years old. Send flowers to express your sympathy and honor Leatrice's life. It was written by The Bismarck Tribune on February 19th, 2017 that Darlene June Hankinson (Huber) passed away in Garrison, North Dakota. Send flowers to share your condolences and honor Darlene June's life. It was revealed by The Bismarck Tribune on January 24th, 2017 that Laurence "Bud" Lewison perished in Garrison, North Dakota. Send flowers to express your sorrow and honor Laurence "Bud"'s life. It was disclosed by The Bismarck Tribune on January 24th, 2017 that Vernon O Ostby died in Garrison, North Dakota. Ostby was 86 years old. Send flowers to express your sympathy and honor Vernon O's life. It was reported by The Bismarck Tribune on January 24th, 2017 that Harold Rensch perished in Garrison, North Dakota. Rensch was 93 years old. Send flowers to share your condolences and honor Harold's life. It was noted by The Bismarck Tribune on January 24th, 2017 that Blanche Weishaar died in Garrison, North Dakota. Weishaar was 91 years old. Send flowers to express your sympathy and honor Blanche's life. 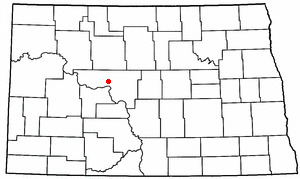 Garrison is a city in McLean County, North Dakota County, North Dakota in the United States. The population was 1,318 at the 2000 United States Census census. Garrison was founded in 1905. . . The official website for the city of Garrison is http://www.garrisonnd.com/. Guard Casey Garrison was named unanimous preseason player of the year ... NDSU senior guard out with knee injury FARGO, N.D. (AP) North Dakota State senior basketball guard Freddy Coleman has undergone arthroscopic surgery on his right knee. Listing all funeral homes in Garrison, North Dakota so you can easily send flowers to any location (same day delivery) or find any funeral service. Find a Funeral Home inGarrison, North Dakota ND to provide the caring burial and ceremonial services your family deserves. We work with local florists and flower shops to offer same day delivery. You will find budget sympathy flowers in Garrison here. Our funeral flowers are cheap in price but not in value.